The 22nd International Swiss Cup 2017 hosted Swiss and French teams at the Locanet Arena in Burgdorf. More than 20 teams competed on Saturday in seven different categories. In the Novices categories, Ice Spice from Mittelrheintal won the Basic Novice competition with 32,34 points. 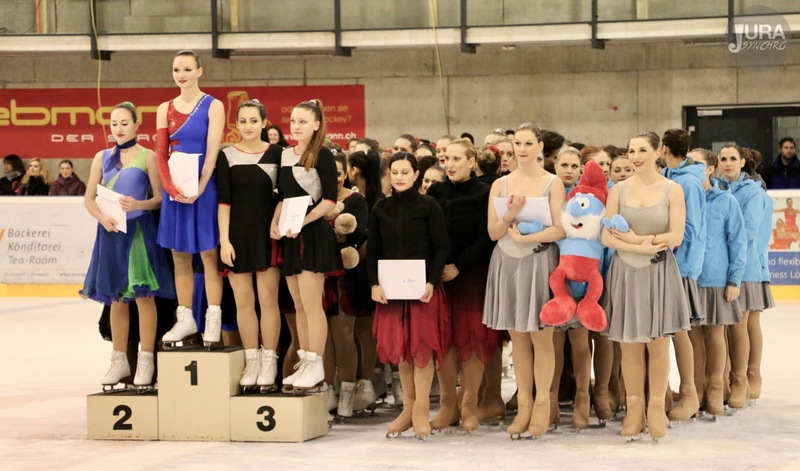 Dressed in black costumes, Team Bernettes placed 2nd (27,94 points) and Ice Cube, representing Zürcher Oberland, took the bronze (24,95 points). In the Advanced Novice field, Cool Dreams Novices presented a clean free program, receiving a total of 37,58 points. At the Adult level, Cool Dreams Crystal did the best score in Burgdorf (45,66 points). The Zuricher Starlight Diamonds finished 2nd with a total of 40,76 points and Ice Liners from Basel is 2 points behind (38,53 points). By Seniors B, the victory went to Cool Dreams Royal who skated a fresh program in green and black dresses, earning a total of 62,37 points. Starlight Seniors took the silver medal with 61,74 points. 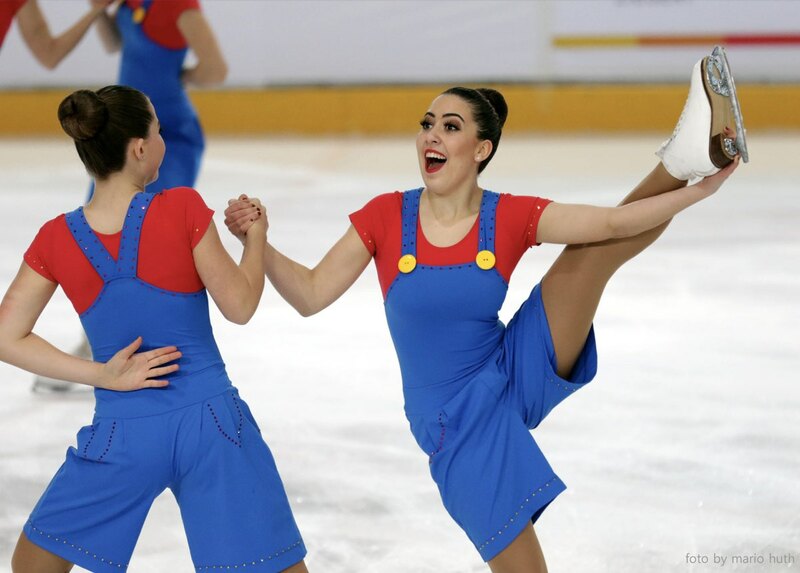 Team Saphire from Basel presented a punchy free program and earned the bronze (60,07 points). Mixed Age level gathered this time five teams. 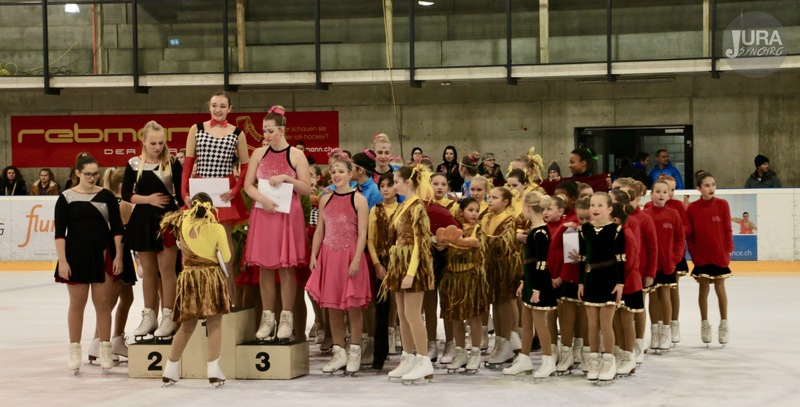 Snowflakes from Huttwil skated to some "techno" songs, receiving a total of 64,46 points. 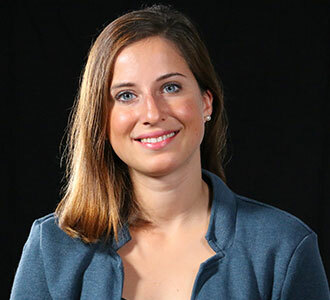 This competition is a good preparation for the team coached by Monika Schneider who will participate in the Mozart Cup in Austria next weekend. At the 2nd place, Team Onyx from Basel who earned 48,33 points for their free program. The three other teams engaged finished very close to each other. The rocky Team Bernettes did 36,77 points, while Ice Storms and Team Volcano received respectively 36,53 and 36,14 points. 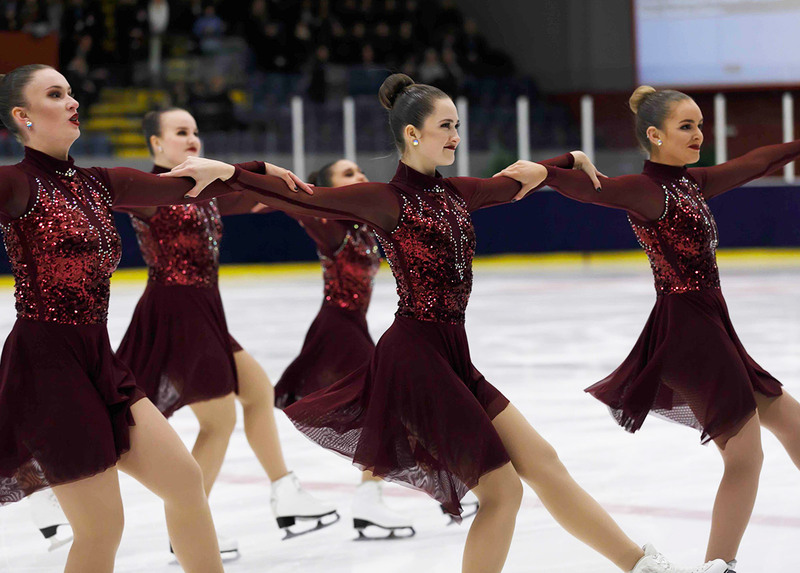 In the Junior category, the local team Cool Dreams skated two good programs in front of their fans. 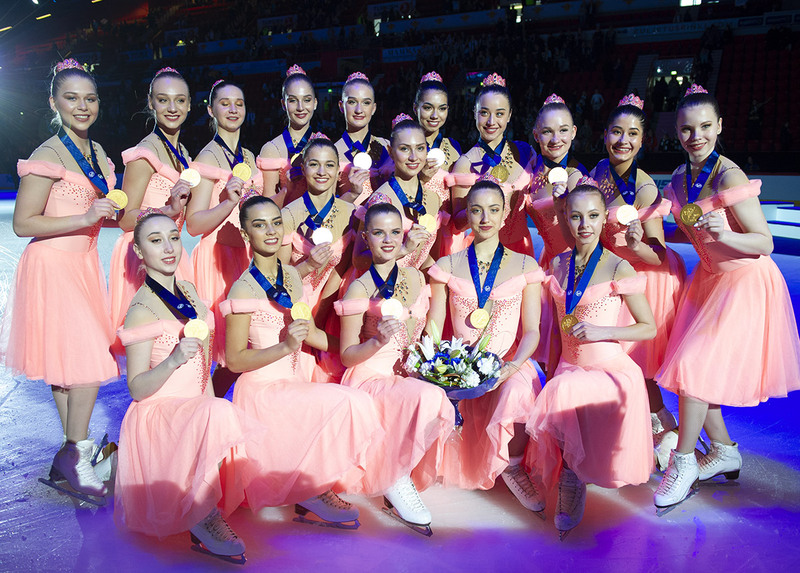 This team, who will represent Switzerland at the next Junior Worlds, earned a total of 89,73 points. The French team Black Diam’s finished 2nd after an emotional free program dressed in white costumes. This team, representing Compiègne, did a total of 84,28 points in Burgdorf. 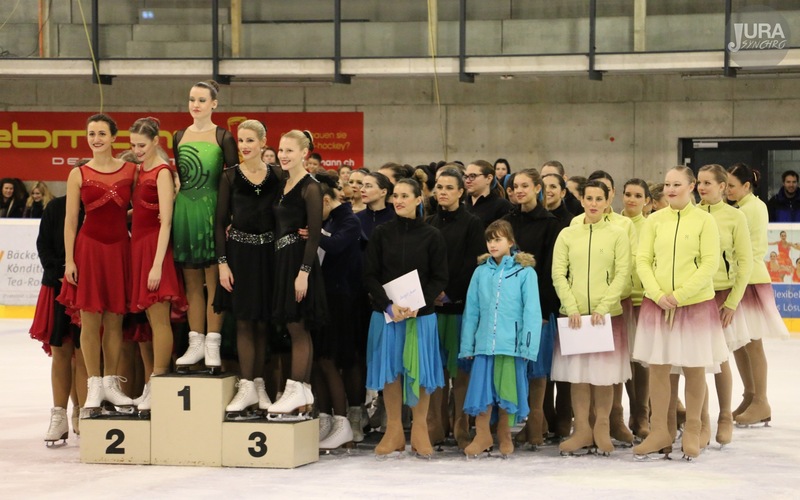 Only one Senior team competed during this International Swiss Cup. Cool Dreams Senior presented their two new programs in front of the audience and the judges. Their free program skated to a rock’n’roll theme, has been especially appreciated by the spectators.